WaterWall Displays is proud to provide innovative products and solutions to combat the rise of plastics in our environment. 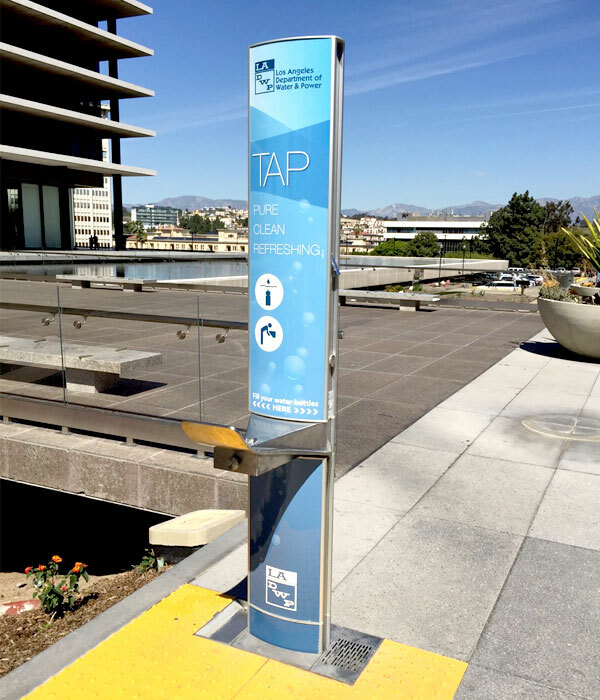 Municipalities all across the country such as the Los Angeles Department of Water and Power and the City of Philadelphia are providing free filtered water to their customers…and they are loving it! Our refill stations are hand-crafted from Marine Grade Aluminum and Stainless Steel; designed specifically for outdoor use. Several of or other models will also work well inside a school or an office. 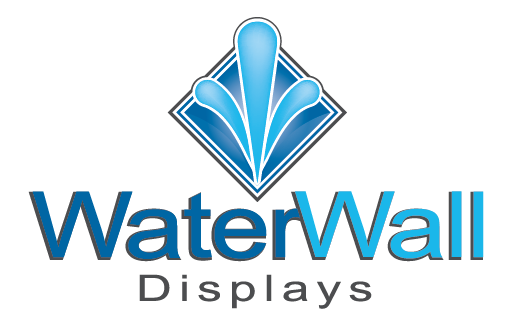 WaterWall Displays is the exclusive North American distributor of Aquafil Water Bottle Refill products and an authorized Brita Hydration Station dealer. 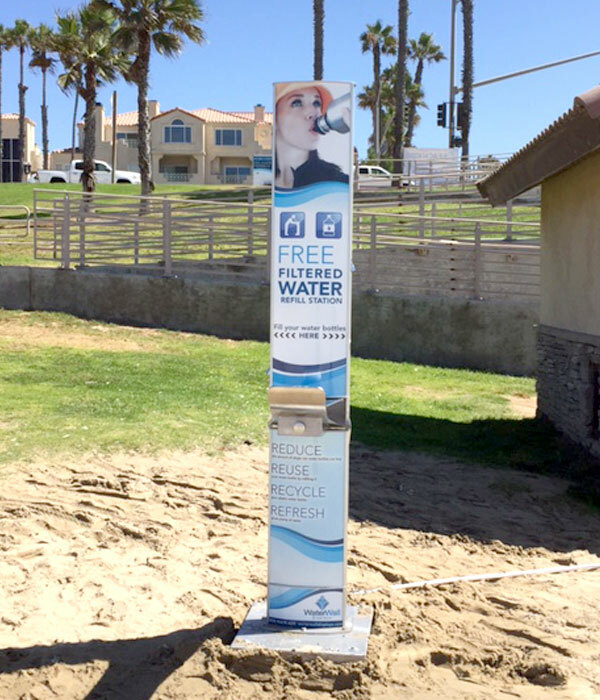 WaterWall Displays can help your community lead the way to a healthy lifestyle and reduce the consumption of single-use plastic water bottles. Our Changeable Graphics provide an excellent educational tool as well as great branding exposure opportunities for your City or business. Sponsorship and Revenue Sharing opportunities may also available for communities to provide this unique amenity, while reducing the number plastic water bottles in their waterways and landfills. 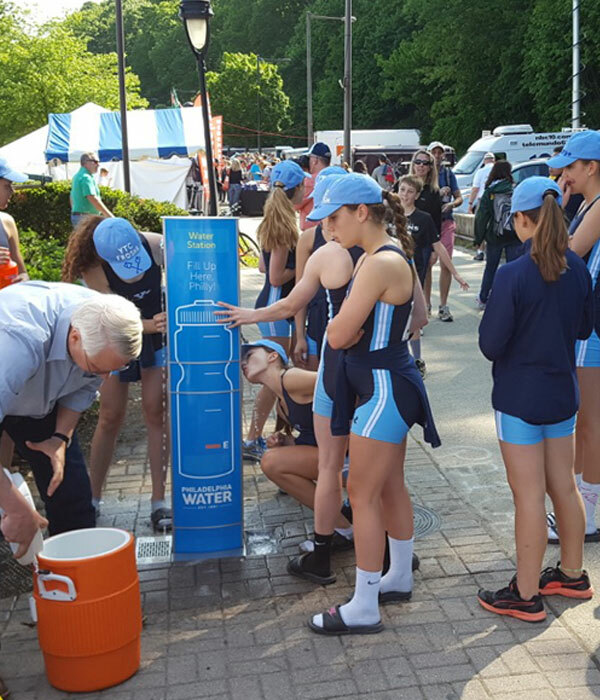 Portable Water Refill Stations are also very popular for events such as Festivals and Marathon Races.